It's about Star Trek! You should probably click here. Um, you may have seen this already. If you know me on Facebook it's there under a slightly different format. Can be seen here. Originally it was a Get Reel thing, so basically it was another chance to get things shown on a proper cinema screen that probably shouldn't. Plus I really like that tune. 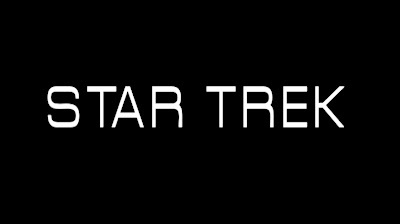 Despite apparently appearing in the new Star Trek movie, I've never watched more than about 4 episodes, so I've made this fan tribute from my vague memories of those. The aweome remix was by Robin Jordi Lindop Fisher, who sadly doesn't seem to have a website right now. Speaking of geeky things and writing things that people have no interest in reading, I really didn't get the big deal about The Dark Knight. It was a pretty good movie, but I dunno if it deserves the massive critical acclaim it's received. Maybe it's a backlash of Heath Ledger (and mumblemumbleconway wickliffemumblemumble) mourning, to be fair he is really good in it. I dunno, for me it took off in the bit where the Joker was wearing a dress, but for the first 45 minutes or whatever I just didn't get what was going on. There were so many different characters and locations flashing by and so much dialogue with music over it (and curious amounts of complete silence during the long chase sequences), that I sort of got bored and started thinking of my own replacement film about a cat with mechanical stalks for legs. He wouldn't do much with his powers, just get onto high cliff ledges and look at views and stuff. Basically I hadn't felt that apathetically confused since the Transformers movie, and I consider that movie a strange, dark time in my life. The Dark Knight really picked up towards the end with the bombs on boats and suchlike, but it wasn't as enjoyable as, say, Iron Man, or most of the non-George Clooney films about Batman. Maybe it just depends on how much you buy into Batman as a character, whether you think he's the ultimate in toughness and punchingpeopleinthefaceness or whether you were raised on Beano and Dandy comics instead and are a little disturbed by the idea of wealthy buisnessmen tapping peoples' phones and beating up people in interrogation rooms while wearing a mask and lots of rubber. I guess it was a tacit criticism of the way vigilantes work, and the edges people are driven to when they think they're the good ones, but I also thought the film ended up supporting his worldview a bit too much. Still, sure the viral marketing for Batman Picks His Nose And Eats The Bogies (The Third Remake) will probably be quite good. And Dr. Horrible's Sing Along Blog is bloody excellent. By the way this was the Chris Cunningham ripoff I mentioned a while ago. thanks, Dennis from [url=http://www.myonlinepayday.com]Personal Loans[/url] website!